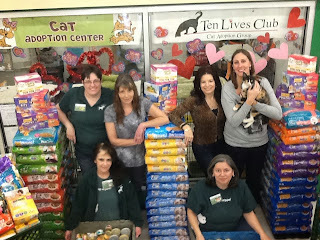 Last month our store held a food drive for our local cat rescue 10-Lives. The event was a huge success, thanks to a complete team effort by ALL our team members here. 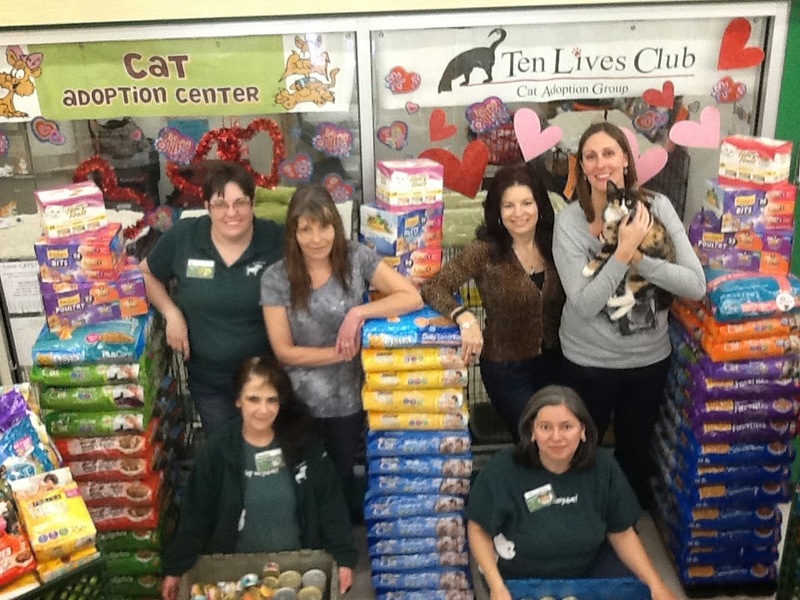 From donations from their customers, the store collected 177 bags of dry cat food and 2,282 cans of wet food with a total retail value of $2,755! In addition, gift baskets were donated by the rescue's volunteers, area businesses that we have partnered with in the past, and some of our pet partners, too. 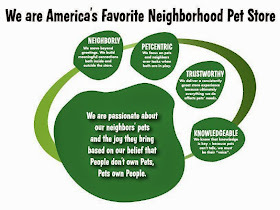 What a great way to be a part of the East Amherst neighborhood. Congratulations to Liz and team for a job well done!